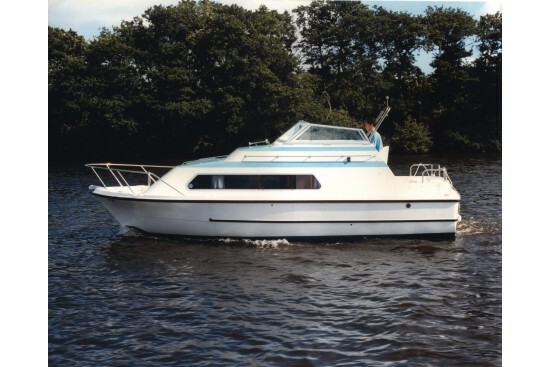 Is what is termed a '2+2' berth cruiser and provides a perfect entry craft into river cruising. 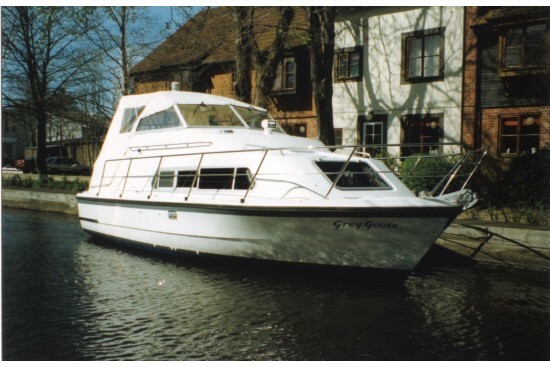 Fold-down screens and hood make this an ideal cruiser for inland waterways with restricted heights. The spacious aft cockpit features a large bench seat to the rear with twin adjustable helmsman's bucket seats. Despite its size, full standing headroom is a feature throughout this vessel. The forward cabin features two 'V' berths with the option of an infill making a double and can be built with either a solid bulkhead and doors or open plan. 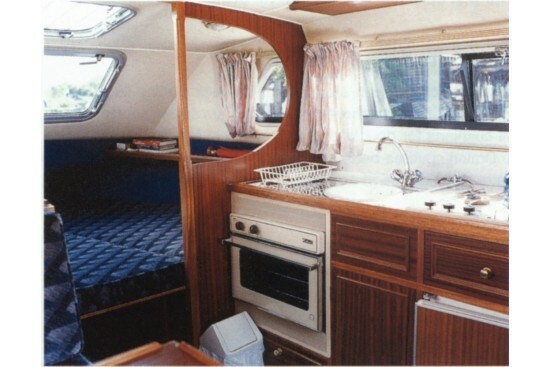 The galley and dinette area provides seating for four in comfort and converts into a wide single berth. A shower and toilet compartment completes the high quality accommodation package. 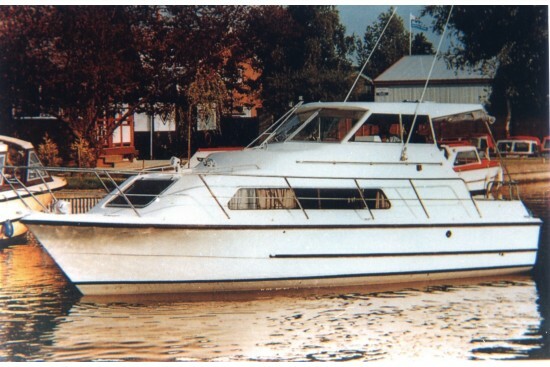 Height above waterline to top: Soft top (screens down) 1.88m 6'2"
Height above waterline to top: Hard top 2.44m 8'0"